This past Sunday I started rolling out the new website design. There are still hundred of pages that need to be converted some pages will be trivial to convert other will take some time. Many of these pages were created 15 years ago or more using old version of HTML or proprietary code… I’;ll spare you the boring technical details — basically I have more work to do, but a lot has been accomphished. I started AALBC.com in 1997 and have been it only webmaster. 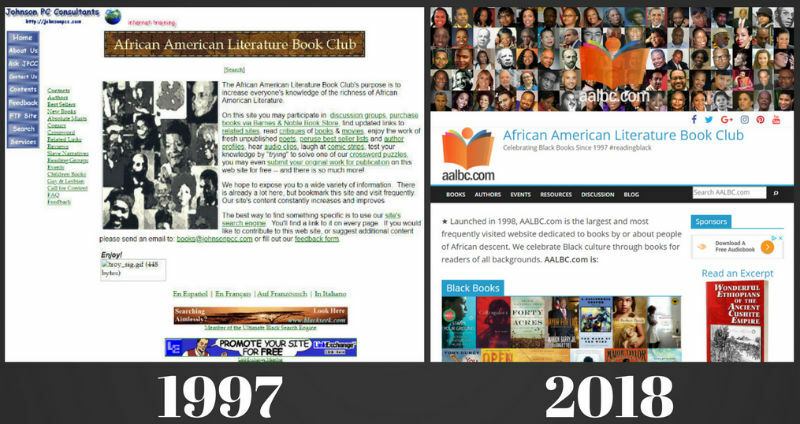 Today, dare I say it, AALBC.com is the best website dedicated to Black books ever built Really, AALBC.com is a site dedicated to Black people and joins a list of a many sites, in a variety of niches, doing the work of ensuring black people have a voice, they own and control, on the web. Thank you everyone for your support over the years — without it AALBC.com would be a faint memory, to a few people.